Canada's Critical Infrastructure: When is Safe Enough Safe Enough? 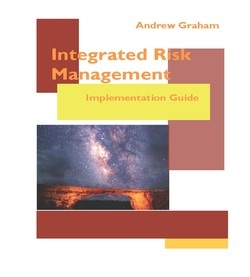 Integrated Risk Management: Implementation Guide, originally produced for work with a variety of government organizations, all asking the question "How do i get going on risk management" has had an interesting life. it has been used in governments across Canada, NGOs and in international organizations. I get e-mails from folks asking further questions or for more information. It has proven to be pretty resilient in spite of being originally published in 2008. Of course, much new work has taken place on this topic. This should drive an update. Add to the To Do list. The text is free. Click Here.